This generously illustrated textbook is a simple guide to the pathologic diagnosis of 'medical' lung disease, written by an expert, subspecialty-trained pulmonary pathologist. General surgical pathologists and pathology residents will find it accessible and full of practical pearls that can be used in real-life situations. The algorithms in this book provide a glimpse into the thought process of a subspecialist. They start with an abnormal histologic finding, and take the reader step by step to the correct diagnosis. Unlike most pathology textbooks, diseases are grouped on the basis of pathologic findings rather than etiology, mirroring the actual practice of surgical pathology. Another novel feature of this book is that it provides actual examples of pathology reports for each disease. 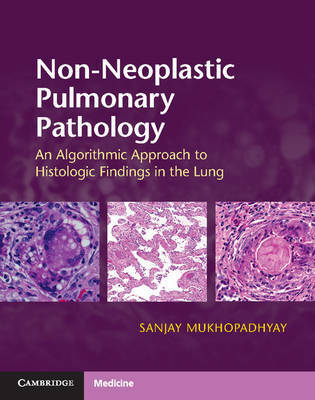 Pathologists will find this book tremendously helpful when faced with difficult cases of interstitial lung disease or lung granulomas. It should be part of every surgical pathologist's library.